Rick Schart is currently Senior Vice President of Supply Chain & ECommerce Operations for Stein Mart based in Jacksonville FL. He is responsible for all aspects of Stein Mart’s logistics program including distribution center operations, transportation, and vendor performance. Since joining Stein Mart in 2008, he has led a transition of the supply chain from a vendor direct-to-store model to a network of regional distribution centers serving stores. Rick also led the team which launched Stein Mart’s first full-service ECommerce business in 2013. He is now responsible for providing overall leadership for operational support of the ECommerce business. Rick was previously with JCPenney for 34 years. In his last position as Vice President of Transportation, he was responsible for all global transportation operations of the company. Rick holds a BSBA degree from The Ohio State University. He was a member of the Leadership Jacksonville class of 2014. 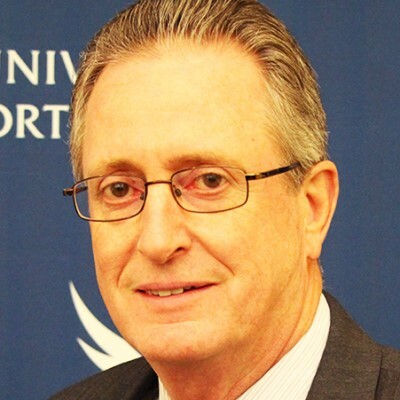 Rick currently serves as Secretary of the Board of Directors of Communities in Schools of Jacksonville and the Business Advisory Council for the University of North Florida’s Coggin College of Business. He has been a student mentor at UNF for eight years. Rick has served on the boards of several supply chain professional associations.